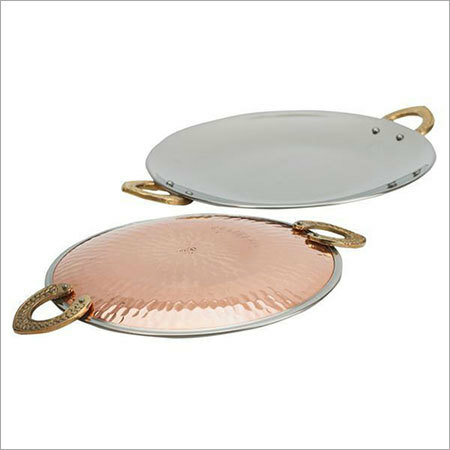 Copper Steel Tawa, offered by us, is ideal to create any dish or platter with unmatched taste and freshness. We have been offering a durable and robust range of tawa with quality approved plate for even cooking. Our range is designed with food safe surface that preserves the taste as well as nutritional qualities of foods. Moreover, it is safe for food contact. The Copper bottom of the range adds style and ensures easy cleaning.